Nowadays, the only challenging task ahead of every recruiter is to find the best employee. And that can be accomplished only by certain effective employee selection methods. In today’s generation, everybody is running to chase their dreams. The run is not only limited to chasing his/her dreams but also focuses on how one has to turn out to be the best in each and every aspect of life. Finding a good job becomes one of the most challenging tasks in each and every person’s life. Although this task is not only restricted to the person who is seeking a job, but also to the one who is recruiting and giving out a job. 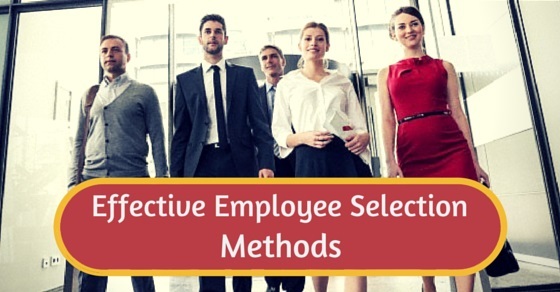 Hence, effective employee selection methods should be followed and taken into consideration in both cases for better results. It is the recruiter’s task to select the best employee for a particular position and create a pool of best employees that would do well for the institution. It is obviously not a Herculean task to choose the best employee from a pile of employees. Hence, certain pros and cons have to be taken into consideration while giving a final call to retain the calibre of high-end employees. New selection techniques for hiring are emerging in the market day by day, so one has to choose a right and suitable method while hiring the candidates. Recruiting and selection system is an important phase in almost every organization. The hiring managers at the time of hiring look for best candidates among others. They not only hire an employee based on technical knowledge but also assess their behavioural skills so that they would be compatible with their work culture. Also hiring a wrong employee would cost the company in terms of money and resources. Hiring the right employee in the company would make the workforce strong and more productive which in a way is very helpful for the organization. Monitor the whole system closely. Process: They have to go through a lot of pressure in selecting the best eligible candidate for a particular position. He has to take into consideration the various criteria to determine an employee’s ability, talents, skills and qualifications. He has to look out for an employee who would do well in times of prosperity as well as wish to be an ever relying helping hand during worse times such as a crisis situation. This assessment method helps in knowing more about the employee in a direct way. It showcases an individual’s ability in knowing how well would he turn up for the position he has been rendered to and the duties he has to cater to. It helps in the measurement of mental abilities of an employee such as his/ her verbal, reasoning, mathematical ability and the reading ability. These tests include multiple choice questions and help in increasing the knowledge about a particular employee’s capability for a particular position. This test, however, is a very effective one in determining a person’s ability. Now, this test is the hardest of all. It allows the employee to show off his/her ability in a positive way so that the company chooses to select him/her. It helps in measuring the attitude and experiences of a particular employee. It helps in relating the individual with his honesty, the art of dependability and the nature of trustworthiness. If these factors are combined together in a positive way, then it is a sure shot green signal for the employee to be selected for a respected position in the firm. These tests are of utmost importance everywhere, be it a small start up consultancy or an already established firm. These personality tests help in the assessment of certain traits that help in the development of an employee and help pave the way to the road of success. Every company needs a known and to the best-mannered employee to help the company reach higher goals of success. It has its own traditional way of conducting the test with paper and a pencil. Every company has to choose such an employee who is and will be loyal to the company for a prolonged period of time. This can be attained only by knowing the employee’s history, his background, his work preference and many more. Hence, a data that reveals his/her biography is conducted from the side of the employee. This test allows the employee to write about his personal characteristics, his interests, likes and dislikes and so on. It focuses on how effectively the employee has performed in the past and will perform in the near future. These tests are the same as those of cognitive ability but show a deeper meaning whilst its application. It describes the ability of an employee in knowing about the job which he is interested to work upon. Such tests include the traditional pencil and stencil test. Also, sometimes an essay regarding the company is asked to be written before giving a final call for a particular employee. These tests cannot be used in a situation wherein an employee has to be trained after being selected. It works only on persons who have got to be selected and trained upon in one go. These tests are the most common and most used ones whilst conducting a test to determine an employee’s ability. Also, it is the best-used device in most of the organizations and instructions. 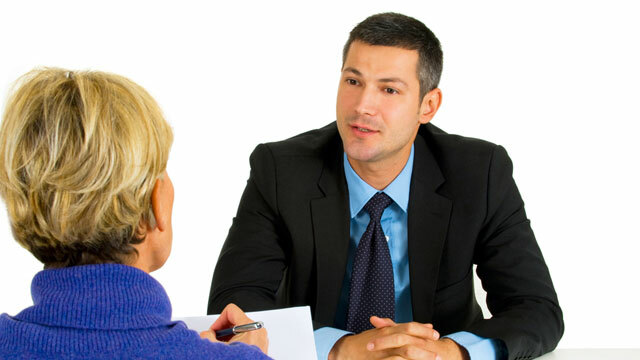 Structured interviews consist of a few specific generic questions catering to the firm. These questions are to be answered by the employee in a structured way and that would ultimately determine his/her capability in working for that particular firm or institution. Also, this test provides a standardized result as compared to various other tests. It helps in evaluating potential job candidates. Such tests determine how an individual will react in a given situation undergoing in a company. These are the situational judgment tests that should be recommended to every single institution for application of a potential employee. It will determine in knowing how an individual will handle the situation. Generally, crisis management is the most given situation in these tests as it showcases how well an individual handles it and leads the company in worst times too. These tests are usually videotaped for recording an employee’s behaviour during such crisis times. These tests last up to one day or even more days. These tests are the same as the work samples. However, it focuses more on the ability of an individual employee. An employee is been called at an assessment centre, given a list of to do work to be done in a stipulated time. And then he/she gets selected on how they have worked in this given time limit. Whether they managed to get through this deadline thereby leaving a negative impression in the minds of the employer. These tests are of utmost importance in knowing how well an individual deals in a particular situation. Work sample tests allow the individual to showcase his/ her abilities in working as a potential candidate. These tests can be called as a mirror in determining how well an employee performs in a given situation. A certain work task is given and the individual is asked to work upon it. Later on, the task gets proofread and approved by the recruiters and this is how the employee paves the way through this process directly to the institution. These tests allow the individual to showcase his/her ability in the test. These tests are less common and are not much in usage. However, it allows the candidate to show his potentiality in terms of weight and physical ability. 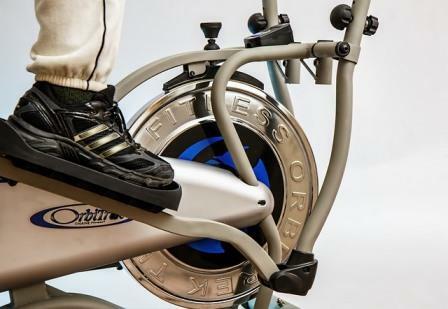 Hence, to pass out in this test, the stability of mind and a healthy soul a fit toned body is necessary enough. Also, this test has a specified time frame which allows the candidate to showcase his talent in a particular set of time period. These tests help in giving out a considerable amount of potential candidates from among a hundred ones. A realistic crisis called situation is given and then the employee is asked to solve it on own. Now the employer has to decide how he will judge this particular candidate. The crisis can be of the same which your company might have gone through quite a long time ago. Now if the employee has researched well about the company then he might strike the right chord and get dealt with it in a quick and positive way. This is the easiest and less time-consuming way in picking out the best employees. Resumes are sent by all and the recruiter has to do just one job. Look at all the resumes and cut short the best ones. Now, this has to be considered in one way. It has to be divided into different sections so the best ones are picked up from among a thousand applicants. The following criteria should be kept in mind while choosing the best resume, experience, knowledge, skills, talents, acknowledgements, references, physical ability and attitude. Such screenings are conducted to choose the best of the employees from a plethora of existing ones. It is obvious that a recruiter might have short listed 50-60 applicants. Now to cut short them more and to conclude with the best applications for a particular job, the recruiter must be smart enough to choose the perfect one. Also, this method has to be considered by keeping in mind the following possibilities; the number of year’s experience and credentials. This method is the most effective method in choosing among a hundred good applicants and pick up the best ones for this job. This is the toughest among all and for both the parties. Most people dislike this process as it consumes a lot of time and makes the interviewee nervous enough to blabber in front of everyone. Also, it hits on a lot of misconceptions as the interviewer might be prejudiced and partial enough not to choose the deserving candidate because of personal issues. He might let go off the short ones as they might be considered too pushy. The ones with a beard might feel rejected because people feel that they have something in common to hide their feelings. However, this method, if approached in the right way, opens the gate for a lot of knowledgeable information to be exchanged. These tests are of little importance as it does not give us the freedom to know more about the employee. It shows how well the employee has performed in his/ her previous workplaces and asks the employer to determine the employee’s ability in this way. You can ring up the contact number mentioned in the reference section and know the details about your employee. This would work either way even. Hence, this method is least used in the selection assessment methods. These methods are very common and are also very much in usage in the corporate world. Nowadays, open ground debates and elocutions have allowed people to show off their talent in a positive way. Hence, people are now not afraid to open up in group interviews. It allows exchanging knowledge and valuable information that most of the people might be alienated to. That particular group which has to be interviewed can be asked to do a presentation or an activity together, thereby leading to unity goals in the company. As every business differs from other, the selection and recruiting system also variate as per the niche. The size, niche and also the location plays an important role in the organizational recruitment process. But there are few things which act as common in any recruitment process. Moreover, improvement is the key to better any process even if it is recruitment. It is just that, your aim for improvement should only focus on enhancing the system. Assess the employee initially with a valid pre-employment personality assessment. There are hundreds of new tools and methods coming up every day for the betterment of job selection methods. Although, these assessment selection methods give a broader perspective of the process, it does restrict us from one or the other privileges of knowing that person. While the telephonic numbering does not allow the employer to meet the candidate in person, he might never know of the employee’s inner mind readings. Thus, each and every method has its own pros and cons and is one of its kinds. It is on the employer which employee to select and go ahead in giving him/ her chance to work with the firm. It is totally the employer’s call to go on with his experience and inner gut feelings and natural instincts to choose the best for the job. In the same way, it is on the part of the employee to choose the best method according to his/ her convenience in sailing forward in their ship of dreams. However, these assessment methods have paved way for a lot more selection methods instead of relying on the traditional interviewing method. Go ahead and conquer the world! Previous articleHow to Answer the Question “Have You Ever Been Fired”?